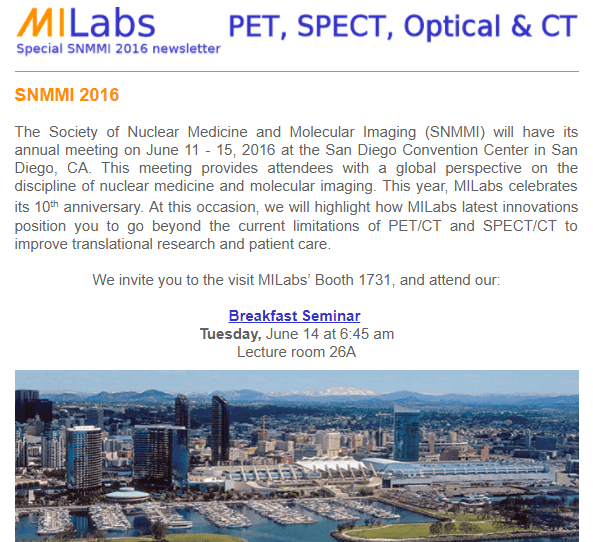 The Society of Nuclear Medicine and Molecular Imaging (SNMMI) will have its annual meeting on June 11 – 15, 2016 at the San Diego Convention Center in San Diego, CA. This meeting provides attendees with a global perspective on the discipline of nuclear medicine and molecular imaging. This year, MILabs celebrates its 10th anniversary. 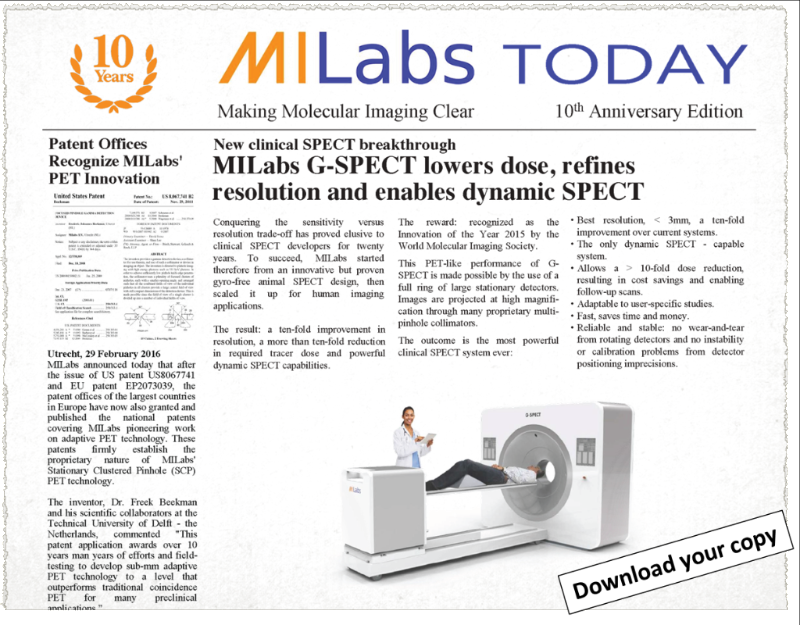 At this occasion, we will highlight how MILabs latest innovations position you to go beyond the current limitations of PET/CT and SPECT/CT to improve translational research and patient care. The universities of Oxford and Yale are joining the fast growing list of renowned institutions using MILabs molecular PET and SPECT imaging systems. The Oxford Institute for Radiation Oncology is the world’s largest and most comprehensive center for research in radiation oncology and biology. The new VECTor/CT system will mainly be used by Dr. Cornelissen to diagnose and treat pancreatic cancer. Read the press-release here. At Yale University, Dr. Sinusas, Director of the Translational Research Imaging Center, will use the cardiac-gated high-resolution SPECT and CT modalities of their new system to develop innovative non-invasive imaging approaches for the assessment of myocardial viability, angiogenesis and infarction remodeling. Other famous institutions and companies such as Clemson University and Genentech – a member of the Roche Group – have committed their X-ray CT imaging research to MILabs innovative Adaptive X-ray CT technology. Their wide range of research demands going from imaging diffusion of materials though vertically-positioned soil sample to high-resolution in vivo imaging of small animals underscores the unique flexibility and versatility of MILabs’ recently-released Adaptive CT system. 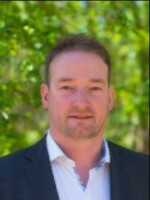 Tony Lahoutte, PhD, MD is head of the Nuclear Medicine Department of the University Hospital Brussel and principal investigator at ICMI at the Vrije Universiteit Brussel, Belgium. 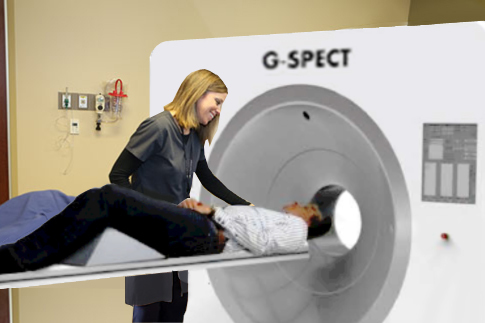 MILabs is accelerating its ongoing development of G-SPECT, strengthened by the commercial Innovation of the Year 2015 award from the World Molecular Imaging Society and with major aid from the important collaboration with the physics sections of the Dutch Science Foundation (NWO).